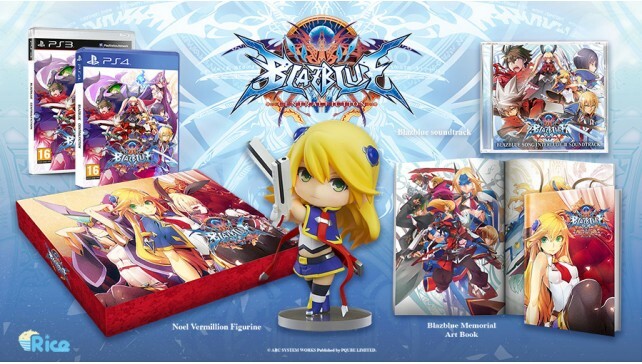 Rice Digital have announced via press release that they will be releasing a special “Azure” edition for BlazBlue: Central Fiction exclusively on their online store. The limited edition will contain an artbook (featuring art from across the whole series), a soundtrack CD and a Nendoroid packed exclusively in a collector’s box. The limited edition wil be available for both PS3 and PS4. BlazBlue: Central Fiction will be releasing in Europe in November 2016 for PS4 and PS3. Here is the press release, via Rice Digital. RICE DIGITAL, Bristol (29 September 2016) – Rice Digital is proud to announce that the Azure Edition of BLAZBLUE CENTRALFICTION for Europe will be exclusive to the Rice Digital store. Releasing on PS4 and PS3 in November 2016, BLAZBLUE CENTRALFICTION serves as the epic climax to the current BLAZBLUE story arc. The Azure Edition is the ultimate collector’s pack for what is widely considered to be one of the finest, most beautiful fighting game series ever made. The BLAZBLUE CENTRALFICTION game on PS4 or PS3. The original 100 page artbook for CENTRALFICTION containing a special collection of artwork from the full BLAZBLUE archive – from Calamity Trigger, to Continuum Shift, Chronophantasma and CENTRALFICTION itself. The BLAZBLUE Song Interlude III Offical Soudtrack. A Noel Vermillion Nendoroid Petit – the second version of the Bolverk-wielding fighter, fully supervised by BLAZBLUE creator Toshimichi Mori. Beautiful presentation box with artwork exclusive to this edition! BLAZBLUE CENTRALFICTION features over 30 characters, brand new game mechanics, over 30 hours of story and over 60 stages – making it the biggest in the series to date. 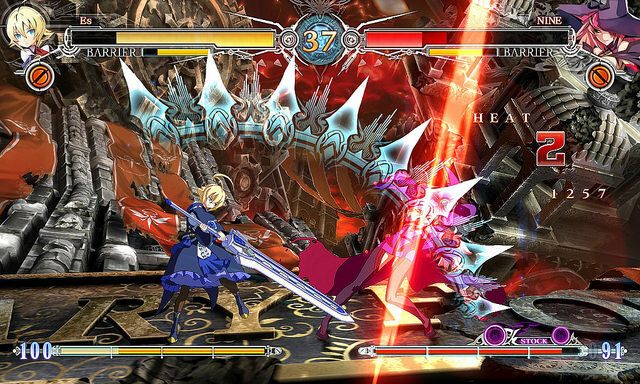 Retaining its gorgeous 2D style and animation, BLAZBLUE continues to set the bar for beautifully lavish fighting games boasting exceptional craftsmanship. BLAZBLUE CENTRALFICTION will bring the fight to Europe on PS4 and PS3 in November 2016!